Can “Productive Tensions” Save American Democracy Again? This is the first installment of a two-part interview we had with David Moss about his recently published book Democracy: A Case Study, which contains 19 case studies covering 223 years of American political conflicts and crises. While President Trump is often criticized as escalating political polarization in America, the phenomenon itself is not new. According to at least one measure, the rift has been building up for at least two decades. In April, the Cook Political Report, which has been following swing districts since 1997, reported that while in 1997 the number of congressional swing districts was 164, in 2017 it was only 72. Fewer swing states means more alignment along party lines, which means less political diversity, which means polarization. 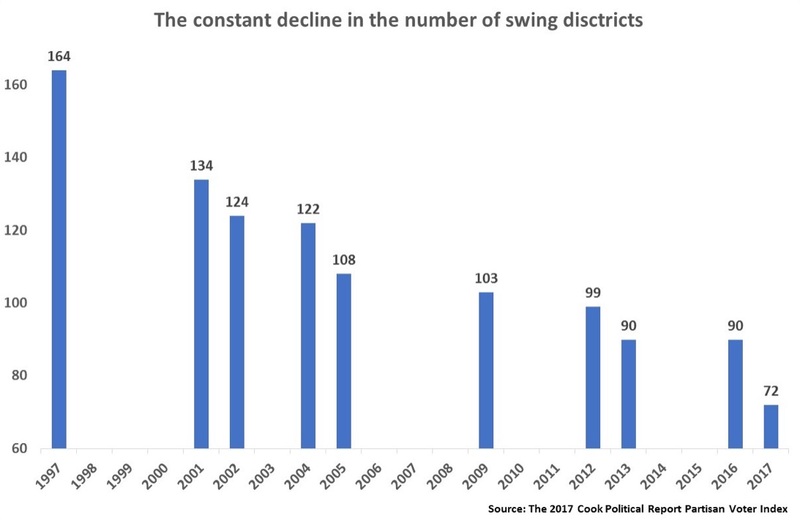 The number of swing districts has been decreasing in practically all of the intervals in which the Cook Political Report has been reporting it. It is therefore possible that Trump is the result of polarization, not the origin of it. Nevertheless, he has definitely brought it to new highs. Most of the time, Moss told ProMarket, the tension between competing ideas, policies, interests, and parties is productive—it pushes rivals to come up with new ideas. The common value that all of us must share for these tensions to be productive, as opposed to destructive, is a firm commitment to democracy itself that supersedes other political commitments. 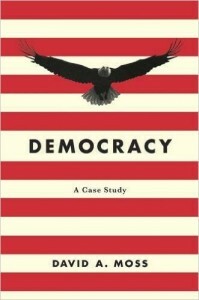 Moss’s recently published book Democracy: A Case Study (Harvard University Press, 2017) contains 19 case studies covering 223 years of American political conflicts and crises, starting from the Constitutional Convention of 1787 to the 2010 Citizens United ruling. In nearly all of the cases, which were carefully picked, there was a sense of imminent danger to the American political system. But in all, except one, the result was not a disintegration. The one case that stood out was the 1860-1861 secession and subsequent Civil War over Lincoln’s election and his opposition to the expansion of slavery. Moss’s book provides more than a deep insight into political rifts in the U.S. Another achievement, which has been discussed in detail along with the book’s content, is its form: case studies. Case studies, of course, are one of the major methods for teaching business; they were developed at Harvard Business School and adopted by many other business schools around the world. Moss is extending this teaching method to other disciplines: most notably, American history. This adaptation has been so successful that it has since been exported to high schools, first just a few and now a rapidly growing number, also with considerable success. We recently sat with Moss for an interview about the current state of American democracy. The interview will be published in two parts, with the second part appearing in the next few days. Guy Rolnik: What made you decide that what Harvard Business School students need are history lessons? David Moss: I started this case-based history project around 2006. That’s when I began developing a course on the history of the financial system. It was a financial history course, but one that focused especially on the emergence of a financial system, with all of its interconnections, and on relationships between the financial markets and government. There was also a large history-of-financial-crises element to it, given the central role that crises had played in the development of financial markets and institutions. 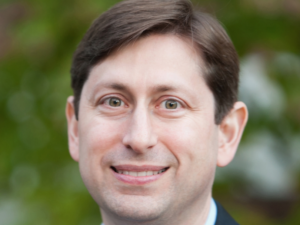 When I started creating the course, no one was quite sure whether there’d ever been a financial history course taught at Harvard Business School before. There certainly wasn’t one then, in 2006. It just so happened that by the time I finished writing the cases with several co-authors and was ready to launch the course in the spring of ’08, the subprime crisis was beginning to unfold, and Bear Stearns was collapsing, and so on. It was quite an extraordinary time to be teaching about the history of financial crises and the financial system. The course ended up becoming surprisingly popular. We saw huge over-enrollment. It was certainly dramatic—and disturbing—to be teaching about the history of financial crises as the financial system was melting down. What I also learned was that, even after a number of years—after the global financial crisis had passed—the case method remained a powerful way to teach history. The massive over-enrollments continued. I know others have taught history by the case method. This wasn’t the first attempt, but it was my first attempt, and it was a great experience. I think the students learned a lot of history, and I learned a lot from them. We had tremendously engaging discussions in class, and there was a lot of excitement around the course. What became clear very quickly is that I really enjoyed teaching history by the case method. It worked far better than I could have imagined. I am at root a policy historian, and I’ve always been interested in the basic institutions of democracy. Around 2010-2011, it struck me that it would be interesting to try to create another case-based course—this time on the history of American democracy—and that I would learn a lot from doing so. I started developing the cases, again with some wonderful co-authors and with fantastic support from the Business School. We created more than 20 cases on key episodes in the history of American democracy. In some ways, they were similar to the financial history cases, because they focused on key historical decisions, but the nature of the decisions was different, as was the prospective audience. Originally, I had undergraduates in mind. I hadn’t taught undergraduates since I was in graduate school, and I saw this as a new challenge. My dean at the business school welcomed the idea but recommended including MBA students as well, which was a great suggestion. Ultimately, we capped the course at 80 undergraduates and 20 MBA students, filling one of our large case-method classrooms each year. It was an extraordinary experience. I loved teaching the class. GR: Are you aware of people who teach history using case studies in other places? DM: For the most part, no. There have long been business history courses here at HBS taught by the case method, and they’ve been enormously successful. But I’m not aware of history courses outside of business history taught that way. Perhaps somewhere, but if so it’s exceedingly rare. For those considering the idea, I can say that it works well. In my courses, the students were incredibly engaged. A number of faculty members warned me before I started the democracy course that the undergraduates wouldn’t participate very much in class, but it turned out that just the opposite was true. The class discussions were full of energy—full of life. GR: Why would a business school want its MBA students to take a class that is actually focused on history, the history of democracy? Some of the cases deal with economic policies, but some don’t. DM: Let me just go back, for a minute, to the financial history class, and then I’ll answer your question on the democracy course. Obviously, financial history is, on its face, more relevant for MBA students. The topic is obviously connected to business, and the historical focus brings in a strong real-world element. What I saw in the class was that—if I can generalize just a bit—there were at least two types of students. On the one hand, there were students who had a lot of background in finance, had taken a number of finance electives already, and had worked in a financial institution. For these students, the cases provided a much broader range of examples or episodes than they had experienced themselves so far. The cases showcased real-world problems. That is, they weren’t just designed to illustrate a theory. They weren’t made up of so-called stylized facts. They presented complex events that had actually happened. Sometimes the students said, “Oh, what I learned in this or that class is entirely consistent with what we’re seeing in this historical case, so I really understand…” But the reaction could also be exactly the opposite. Theory didn’t always seem to be perfectly consistent with historical reality. In fact, many of the students found it most interesting when there appeared to be a significant conflict between what they had learned on a theoretical basis and what actually happened at a key moment in financial history. I think students who already knew a lot about finance really wanted to get this kind of real-world experience—to broaden their experience, in a sense, vicariously through history. That was one type of student. There was also a very different type of student who didn’t have much background in finance at all. In the course, we looked at the emergence of very basic financial instruments, markets, and institutions. So, if you wanted to learn about those things—about a futures contract, for example, or a life insurance product or a mortgage-backed security—you could learn about them as they developed, in their most basic form. So the course worked for those who had little background in finance, just as it did for those with considerable background. It was as if there were two courses going on, yet we were all having the same discussions together. It was, I think, very productive—and quite a thrill for me. So, bottom line: case-based financial history worked well, for multiple audiences. Now, why democracy—or history of democracy—at a business school? I talked with the dean about this early on, and I think we agreed that if you look around the world today, one of the biggest challenges that business leaders face almost everywhere is dealing with the political system. Many business figures, I think, see instability within the political system, wherever in the world they may be, as one of their biggest challenges—if not the biggest challenge of all. And I think this is increasingly true for many here in the United States. Harvard Business School alumni are surveyed every year about U.S. competitiveness. 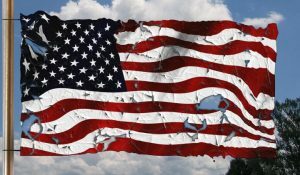 My understanding is that in the last few years they’ve consistently said the U.S. political system is the nation’s biggest weakness—or, at least, among the two or three biggest weaknesses—when it comes to national competitiveness, both at the current moment and looking into the future. As a result, I see growing interest in trying to understand what’s going on in the political system. How democracy works turns out to be quite important for business leaders. So this was the basic idea: studying key episodes in the history of democracy could help people really understand the political system—how it’s evolved and how it works and what distinguishes healthy from unhealthy political conflict—in a deeper way than might otherwise be possible. Many students who took the course reported in their evaluations not only that they saw democracy in a new light but also that they became far more engaged as citizens themselves. That definitely caught my attention. 1. ↑ See The New York Times, CNN, NPR, The New Yorker and others.